It is indeed great news (http://www.usf.org.pk/newsdescription.aspx?122 ) that the Government has approved release of Rupees Five billion (equal to US$ Fifty million) from Federal Consolidated Fund (FCF) to the Universal Service Fund (USF), to help bridge the ever-increasing digital divide. Earlier this year on 13th January, in my blog (http://www.piftikhar.com/2015/01/utilization-of-universal-service-funds/ ) I had stated that according to a careful calculation, Pakistan USF has somewhere around US$ 730 million lying un-utilised/un-committed in its books. On top of that there is another approximate equivalent of US$ 70 million flowing in every year on account of USF contributions alone. Other sources that add to the USF in Pakistan include the recently-abolished APC and the Spectrum Auction Fees, etc. However even if it took the government two years in deciding to let USF use some of that amount, it is a good news, and one should say, “Something is better than nothing”. Or is it not? According to the same news item, with the help of these funds USF would carry out its Telecenters program, in order to provide access to people in far flung areas of the country to e-communication and IT facilities. It is purported that in the next three years 500 such Telecenters, at a total cost of Rs 11.5 billion, will be set up. Telecenters are typically meant for the marginalized rural populations, women, the disabled, and the youth. But there are divided views about these and in the opinion of some, the concept of Telecenters is now outdated. Their reasoning is embedded in history. Ever since the concept of Telecenters first emerged in Scandinavia in 1980’s, till recently, Telecenters were nothing more than glorified PCOs (Public Call Offices) where people could go and share the computers to access the internet for basic applications like receiving and sending emails, or rudimentary web-browsing. The detractors argue that now-a-days prices of access devices (like smartphones/tablets/PCs) are dropping rapidly therefore it is enough to provide internet coverage in rural areas. Those who want to access the internet, would easily do so using their own access devices. Their argument is reinforced by the fact that sustainability of Telecenters has always been a question mark. So why invest in Telecenters, they ask. However most others (including myself) disagree with that notion. In our opinion the Telecenters of today do not merely act as public access points, rather the Telecenters are helping the governments in two very important additional manners. Enhancing basic digital literacy. This may seem as not entirely new. But whereas originally Telecenters also helped some rural citizens overcome their initial inhibitions and teach how to use the internet, in the modern Telecenters increasing digital literacy is the most important function. They go far beyond mere teaching, by hand-holding and showing how to access and acquire relevant information from the Net – like how to ask the right questions from the right experts, how to learn other relevant (non-ICT) skills from the Net, and even how to share their own experiences with others over the Net. As they become proficient in doing all of that, most of them would find it convenient to switch over to their own personal access devices – like smartphones – thus creating space for new learners, and adding to the millions of those willing to enhance their ICT-related skills. This also means that wherever there are Telecenters, there would be new demand for broadband coverage in the surrounding areas. Indeed the prerequisite for this is that parallel to setting up Telecenters, Content must be made available on the Net – Content that is in local languages and also otherwise easily understandable by rural citizens (ie explained visually with the help of videos and animations), and Content that is relevant to their daily lives (ie covering topics of health, governance, education, farming, livestock, fisheries, etc. etc.). Obviously only the Governments can do this. Delivering public services at the doorsteps of the citizens. Services like getting passports and renewing various licenses should not necessitate visits to nearby towns. The myriad of Government departments dealing with public services should all converge, virtually, into the Telecenter! Take another example, that of Agriculture sector, currently 21% of GDP, and 45% of employment of country’s labor force depends on Agriculture (http://www.finance.gov.pk/survey/chapter_12/02-Agriculture.pdf). Although there are service-delivery channels available to help the farmers (agricultural department with it’s vast network of extension workers) but with exploding population and new eServices being developed, these channels are becoming grossly inadequate – particularly for those with smaller land-holdings. Scarce Government resources do not seem to match. Therefore there is an enormous requirement of efficient and fast service delivery channels. Telecenters could be those channels. If one goes a step further and train the farmers at the Telecenters to use their smartphones to get all the information, and ask all the questions, from the Agricultural department – and vice versa – each smartphone could become a “personal extension worker”. Yes, I know this is futuristic, and in the beginning it may work effectively only with the younger generation of farmers. But like it or not, that is where technology is taking us and that is only one of the ways it can be used to our advantage! The benefits of rural Telecenters do not end here. There are two phenomena that help perpetuate overall broadband penetration. First – when more people learn – and use – broadband, the data traffic volumes will increase, which will enhance the appetite of the Operators to invest more in broadband infrastructure. 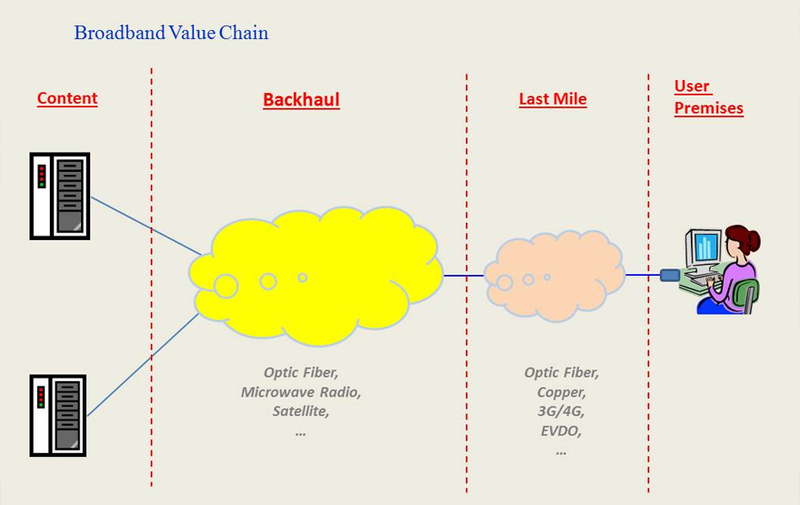 Second – one of the obstacles in extending wireless broadband (3G/4G) in rural areas, is the current relatively low-capacity (microwave radio based)` “backhaul” network. Hardly 5% cellphone towers are connected with optic fibers (to put it in perspective, in Thailand nearly 90% of the cellphone towers are connected with optic fibers). But since modern Telecenters consume huge amounts of data, at fast speeds, these Telecenters are typically connected with optic fiber cables. 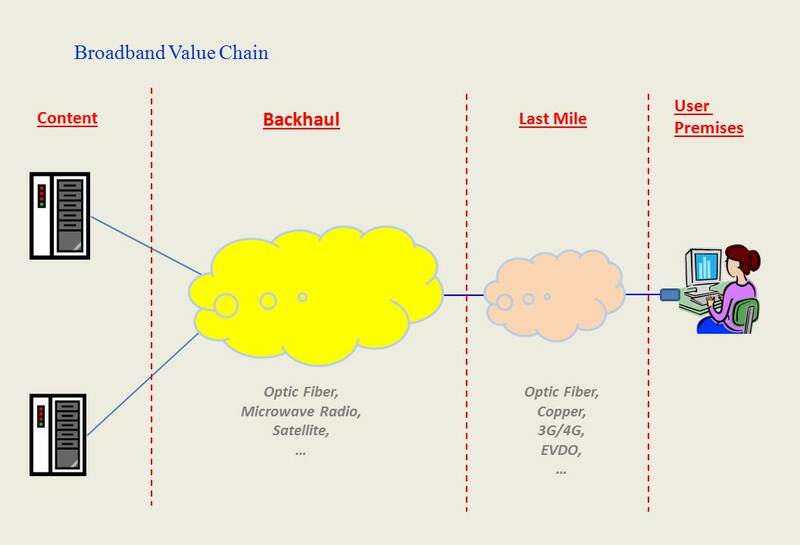 The same optic fiber cables could then also connect many more cellphone towers on the way, thus resolving the above mentioned issue of “backhaul”. In fact, in my opinion, to give a boost to rural broadband, equal access should be available to the fiber capacity installed with USF subsidies for backhaul of wireless broadband, at special low rates. So far it is not known if these planned Telecenters in Pakistan will indeed get fiber connectivity. But, as explained above, doing so would be immensely beneficial – not doing so would be a folly. Summarizing, setting up Telecenters is an excellent step. Properly done, it could help bring a digital revolution in the country. But to get full benefits of broadband, its eco-system has to be addressed, which includes relevant local content, high speed/capacity connectivity, and professional training/coaching of rural users with hand-holding. However 500 Telecenters (that too till 2018) in a country of more than 187 Million people, where more than 110 Million live in villages, are definitely too less. Compare that with Malaysia where there are more than 2,000 Telecenters for a rural population of only around 8 million. With funds not being an issue here, the number of planned Telecenters in the next three years should be increased by at least a factor of ten. No doubt 500 TC only; its too little too late. We are already lagging behind many countries. On top of all, politicising and corrupticizing the USF project would make it all the worse. Hope 2015 or 2016 be election year, then probably the Fed Govt may implement it fast at least in selected “constituencies”. I dont know about the politics, but I do hope that the implementation speeds up soon. Has there been any study conducted in Pakistan to asses effectiveness of the existing telecentres installed under USF or to develop telecentre models that best address the needs of the local communities in rural areas? Because even in developed countries like Malysia, there are still challenges that need to be overcome like sustainability of the programme itself due to low population density, low income, high operating cost, etc. Very insightful read -Keep the good work! Very pertinent comments Shabbir. In Pakistan there has not been any study, because of the simple reason that there have been no real Telecenters so far – except some half-hearted attempts in the pre-broadband age! All my “learning” is based on my studies and observing other developing countries plus a small pilot project implemented when I was with USF Pakistan. I believe that the lessons learnt from it have been incorporated in this new venture. Perhaps there should have been another pilot, but that is a different issue. Yes there are challenges – there would always be:) In Malaysia, for instance, there is no notion of a “self-sustaining” model. I say: so be it. That is what USF is for! No doubt USF did wonders under the able guidance of Mr Parvez Iftikhar, and the rein’s of USF must be given back to him for the development and progress which is the required need of today to have TELECENTERS all over the country (Pakistan). I wish him best of luck. Well written. I am sure the government will take a queue from it. With very best wishes. Thanks Sir. Whether they take a cue or not, its our job to keep trying! My comments. Read your blog about recent decision of Government to release few billon of USF amount back for implementation against a Project approved by GoP through its own Forum instead of Board of an independent Statutory Trust Body – USFCo. Some people, as seen in above comments, observed decision ias politicizing of Trust Fund. My views are on sustenance. Model of USFCo was to undertake subsidy bidding, disburse Funds, & consequent expense, under USFCo oversight. While grantees of subsidy were bidders ie operations, mandated to Implement scheme being 100% seperate legal businesses entities, independent of GoP. USFCo is neither a business entity nor an operator. By nature USFCo functions, structure and assignments are different. How USFCo will sustain these schemes in a transparent manner within its structure (under Government Control) is a tacklish issue. Perhaps it’s structure and framework need reinvigoration. USFCo was a body constituted and mandated under a framework to disburse subsidy through a well defined competetive process. This body would now be Funding itself and expensing it out that too without core skills or operational background or scope and team for such purpose. Hence my apprehensions on sustenance and transparency of arrangement. Good luck & Allah help such efforts to success.